Pinterest, as predicted has come up with a complete redesign for the profiles, which has been rolled out as shared on their blog. Ben Silberman, Co-Founder and CEO of Pinterest hinted the same during his recent appearance at SXSW. Ben had promised that “lots of exciting things” are on its way and I am not at all disappointed with the new design changes. The Boards, Pins and Likes section individually give you the complete details in one snapshot. The display of the items has changed and if you want to rearrange the boards or pins, you can do it easily. The profile page display of boards or pins is not only appealing but also you can make it the way you want. However the display change in the images reminds me of Facebook when it did the same for pictures of users. The Activity section is one more enhanced feature and now you can find out in one go the various activities performed by you and any other user. This makes it easier for you as before following someone, you might want to check his or her activity stream. The Copyright Complaint Form and the Trademark complaint form is all there on the Pinterest site. Along with this, if you think the complaint is unfair then you have 10 days to file a Counter-Notice. It seems that Pinterest is getting serious on an area where it has been criticized most in the recent few weeks. 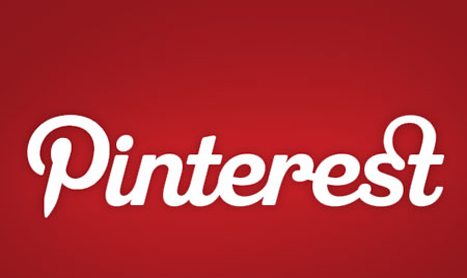 The changes that Pinterest has incorporated will make it more talked about in the coming days. Along with that, I am sure we will have some smart blog posts on bringing more loopholes in the Legal & Copyright section. Despite all this, Pinterest is becoming a major social network in US but how effective has it been to you personally and your business in India. Some time back I had shared on how Pinterest can be useful for Indian ecommerce. Personally, I haven’t been that active nor have I seen Indian brands active on Pinterest but the new changes compel me to use it more. What about you? Have You Seen BlogAdda’s Pinterest Yet? How Indian Ecommerce Should Use Pinterest?